Social Media can be a minefield. One wrong step can lead to disaster. Or at least that is how it seems to many businesses. There is an easy solution - stay away from Twitter. That is where all the problems are. Instead, consider the quiet social media giant that is Pinterest. 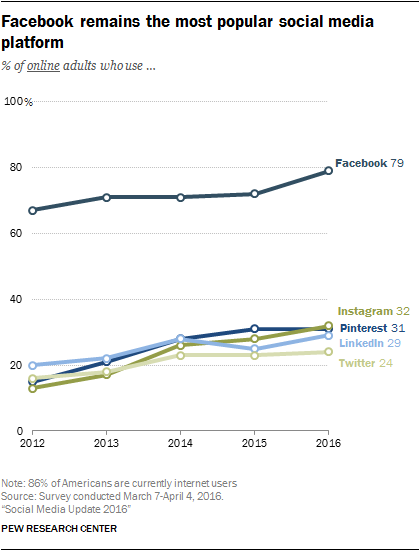 We all know Facebook is king of social media. Unfortunately for business, Facebook made some changes a few years ago that virtually killed off what it was best at - communities. Now the real action on Facebook takes place in groups. Some businesses use them but you need a plan and lot of time to do it properly. Twitter gets the media attention but it is mostly for people looking for a place to argue. I never recommend any business go near Twitter. The risks of a mob descending on you over a misunderstanding are too great, and nothing productive is possible at the best of times. Instagram is definitely worth considering. I have a few shops I host that are using it very effectively and they swear by it as a sales tool. I can include your Instagram feed directly on your website. Have a look at Relax and Entertain for an example. Their front page is their Instagram feed. LinkedIn was recently purchased by Microsoft. It is a mixed bag - it has the groups that people on Facebook love, and it functions as a very effective on-line resume database. If you are in a professional services area like financial planning then working the LinkedIn groups can be very beneficial. As with Facebook groups, you will need a plan and a lot of time. The social media network that sneaks under the radar is Pinterest. If you are not on it then consider creating an account now. Pinterest allows both personal and brand accounts. Multiple personal accounts can contribute to a single brand account so you do not have to share the company Pinterest login with anybody. One thing I have noticed that happens on Pinterest but not the other social media networks is that content does not age as quickly. Pins posted years ago will be found and re-pinned regularly. That never happens on a network like Twitter unless somebody is searching for something incriminating or they are a spambot. Whether by design or accident, Pinterest is the social media network for women. Females on Pinterest vastly outnumber males. There is a relatively even socio-economic spread, with a generally older average age of users. If your product or service is ideal for that demographic then you will be able to reach it in an environment that is nowhere near as hostile as some others. So when you are looking at what social media network to use, definitely consider Pinterest. If you would like some advice or assistance about how to do that then I am always here to help.